Cpl. 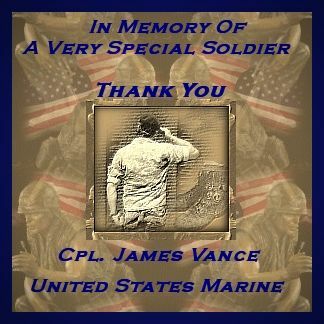 Vance was a squad leader stationed with Golf Company, 2nd Battalion, 3rd Marine Regiment, 3rd Marine Division from May 18,1969 until September, 1969 when he was transferred to India Company, 3rd Battalion, 1st Marine Regiment, 1st Marine Division until his death in Quang Nam Province on January 4, 1970. Jim was my fiancé. It was our plan to be married on September 17, 1970. He will always live in my heart. "I'm sorry I haven't written sooner but I've been really busy. Being Squad Leader is no easy job. You not only have to watch out for your men but yourself too. And sometimes you're so busy with your men you don't have time to think of yourself. Which I believe if I take good care of them, they are going to do the same to me. "Thank you very much for the packages and remember I love you very much. And I think my squad loves you for your cookies. You see, I share all packages with my squad and that's the way I feel. I hope you're not offended for this - I don't think you are. But we believe in share and share alike. But I want you to remember that I don't share my love for you with anyone. Because I love you more than I could possibly ever love anyone else. And please always remember that." Jim was the only son and eldest child of three children of Dorothy and George Vance, and beloved only grandson of Opal Mills. 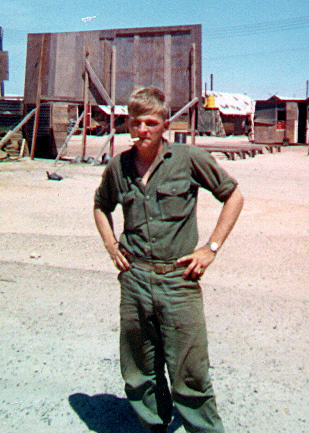 Jim was born in Gatesville, Texas and his family moved to San Antonio when he was young. 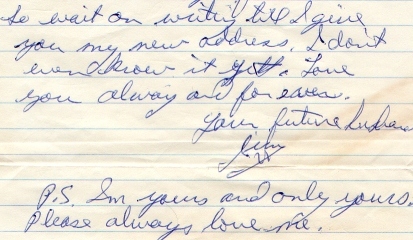 Jim's mother died when Jim was 14. 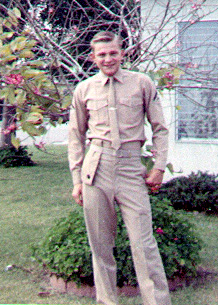 When Jim was 16, he signed up to join the Marine Corps and was inducted on his 17th birthday. 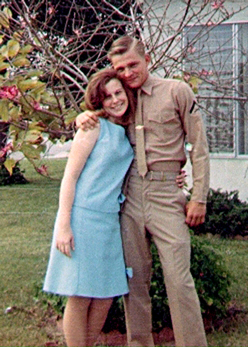 He was at MCRD San Diego and then transferred to Camp Pendleton, California, where I met him. 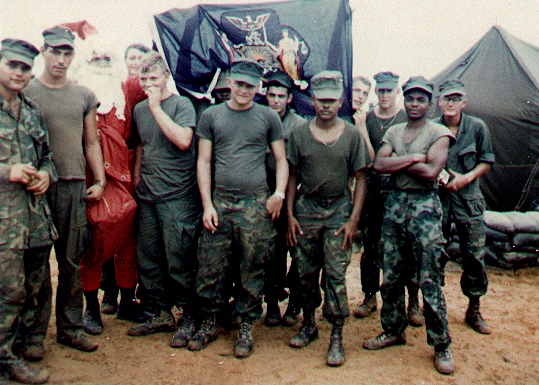 He was at Camp Pendleton from April, 1968 until May, 1969 when he shipped out for Vietnam. 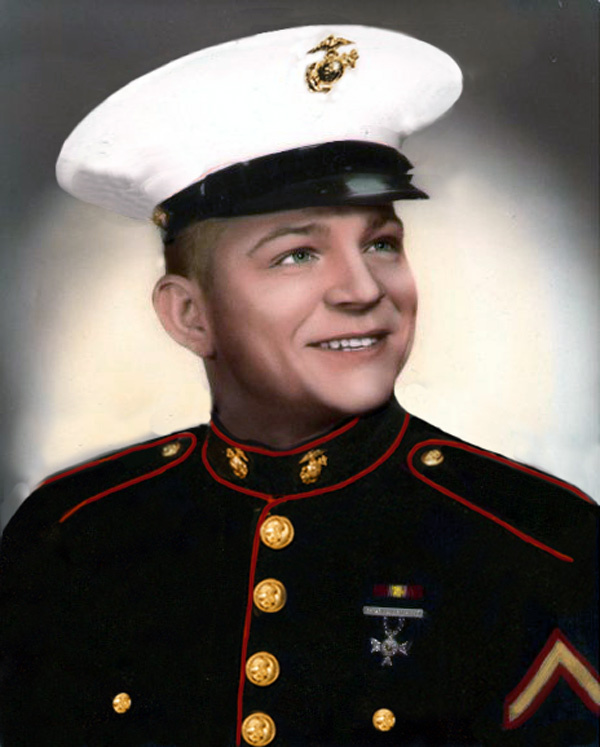 He first served with Third Marine Division and was transferred to First Marine Division in October, 1969. Jim was initially a fire team leader, then a squad leader. In his letters home, he wrote movingly several times of the men who served with him and the sharing they did with each other. Jim will forever live in my heart and will always be remembered for his kindness, generosity, loving devotion to family and friends, sensitivity, courage, sense of honor and fairness, and his wonderful sense of humor. I am a better person for having known and loved him. The Green Leaves of Summer are calling me home. Now the Green Leaves of Summer are calling me home.